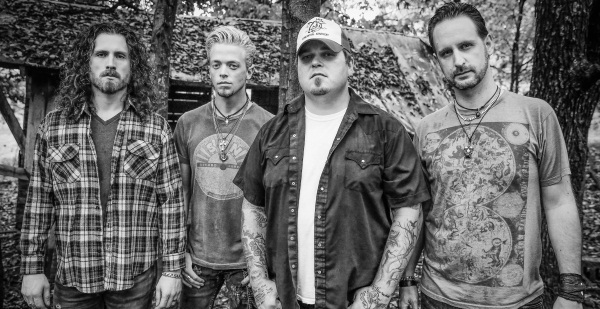 Black Stone Cherry have evolved into one of the world’s premiere hard rock acts. The Kentucky natives headlined the second stage at Download 2015 back in June, and the day after they took to the stage Rock Sins’ Lisa sat down with Ben Wells, Black Stone Cherry’s guitarist to talk about the festival, bringing the Carnival Of Madness tour to the UK in 2016 and more. So how was the set for you yesterday? It was fantastic, you know, it was raining but we had a good time. You know what you really played on that though because you did open with Rain Wizard! Could be our fault, you know. You brought it on, you brought on the rain. We did, no it was awesome, it was a great time. And it was good to hear a new song, ‘Roadrunner’ as well. 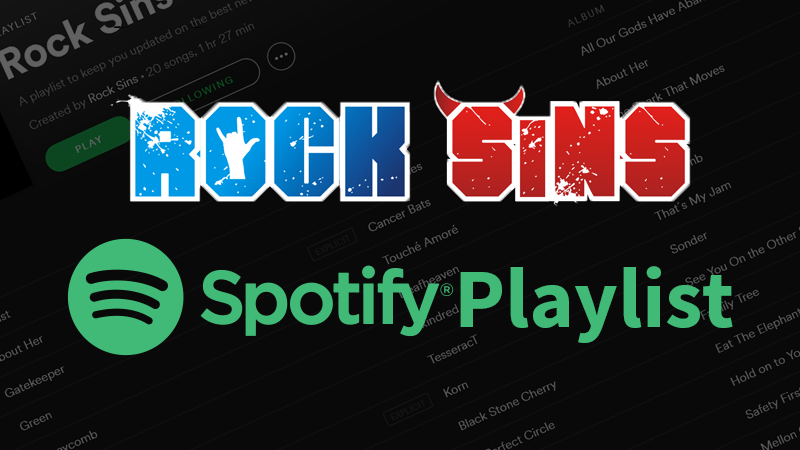 We were a little nervous about that, you know, but we figured that we owed it to Download. We owed it to the fans to do something we haven’t done yet just to show them how much we appreciate them. How does it feel to be headlining the second stage for a second time? It’s a very good feeling just to be able to come back like I’ve kept all my bracelets from over the years. We love this festival, and we love the people that come to it. So it’s incredible. That’s flown in hasn’t it? Are you planning the next album? You’ve obviously started writing new songs! We are, we’re just finishing up on that cycle. We’ve been writing a lot of new songs, we’ll tour some more this summer and then I hope we’ll start recording in the fall. Do you reckon you’ll have more new music for us when you come back next year? That’s the plan, to have a new song out when we come to do the big Carnival of Madness tour next year. So the plan is to have a new song out by then so people can get familiar with it. We’re going to do some new stuff a lot too. So are you going to start recording next year? Hopefully the end of this year. We want to have it out sometime next year early next year. Are you looking forward to the Carnival Of Madness tour? Oh it’s going to be incredible. Yes. It’s an excellent line up and we’re doing eight arenas, it’s going to be awesome. Is it going to be all emotional again, because the last arena tours were huge for you? It was overwhelming. You know our hearts were beating so fast, we’re incredibly thankful for what we have achieved and we don’t take it for granted at all. That’s so nice to hear though, you’re so grounded. Well you know, we don’t forget where we came from. We were brought up by great families that kept us very grounded and very humble so we always remember that. And how’s Chris getting on, because he was struggling for a while? He’s doing great. He’s doing really good. Yes very much so, so we’re very thankful for that. Good. It’s good to see you guys are so together as a unit. You’ve always seemed like more like a family rather than a band. Well you know we’re friends first and a band second and that’s what we’ve always said. That’s really helped us. The UK and Europe really embraced you before home did is it getting bigger and better at home now? It’s starting to grow in America, we’re really. It’s cool to see it, you know? It’s starting to get bigger, it’s just slow. It’s a lot slower but you know, the music scene is so much more different in America than it is here. We’re very thankful for the people that have latched on to us so quickly over here. Does it feel quick? It’s been nearly 10 years? You know what, it doesn’t. I mean, in some ways it does but yes our first time over here in 2007 so it has been several years of roaming. For us, I guess we’re still in disbelief sometimes that we do these arenas so it seems like it’s really fast but it’s definitely been quicker here than it has back home. So tell me, what message would you like to get out to your fans? I guess that we appreciate them, you know, and that I think what they appreciate about us is that we’re genuine, we’re honest, on and off stage, you know. Thank you. I mean we’re not trying to be something we’re not; we’re not trying to portray some rock star image. We’re just four dudes from Kentucky that love to play music for people that love to hear it. I think that’s what people over here really appreciate from us is that we’re not trying to be cool, you know, we’re just, we are who we are. 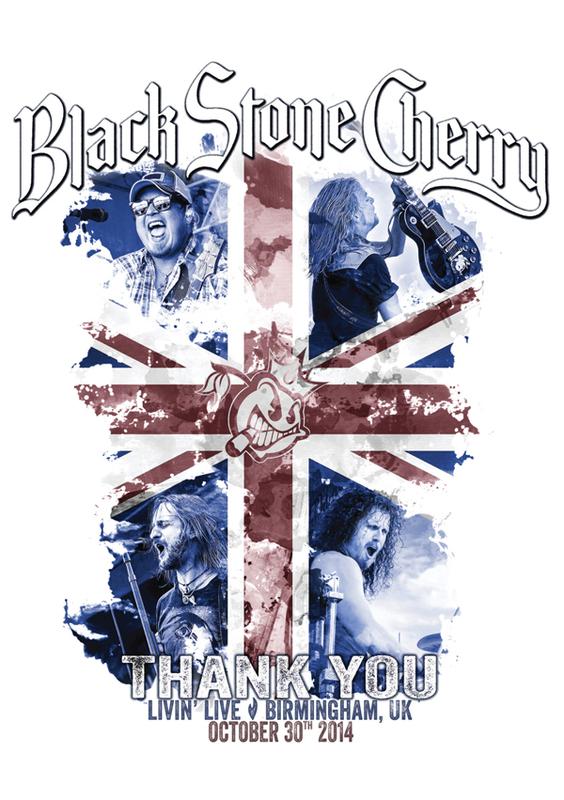 Black Stone Cherry’s brand new Live DVD, Thank You: Livin’ Live, filmed here in the UK in Birmingham on their first UK arena headline tour, is released today (30th of October) and can be obtained now from all good retailers such as HMV and Amazon. Tickets are available priced from approximately £32 plus fees (London will be slightly more) and are still available for most shows from the likes of Seetickets.com, Live Nation and Ticketmaster.